This ads will tell you that 4G is awesome. Fast as lightening, or a motorbike, or a race car. But what does that mean in the real world? Is a 4G phone really going to blow away a 3G one, or is the difference subtle. And are all 4G networks built the same? Let’s take a closer look. 4G is short for “fourth generation” and represents the fourth generation of mobile communications standards. The standard, set by the International Telecommunication Union, calls for transfer speeds of 100 megabits per second. There is no deployed wide-area mobile communications technology that can meet this standard. Technically, the implementation used by most carriers (known as Long Term Evoution or LTE) is a candidate technology. It’s theoretically capable of meeting the 4G standard but is not currently able to do so. To make matters worse, some carriers have occasionally branded their services as 4G even though they’re simply an upgraded 3G technology. A friend’s HTC EVO, which does not contain a 4G LTE radio, now claims to connect via 4G. Apparently a gnome snuck in during the night and installed a new wireless radio in her phone. 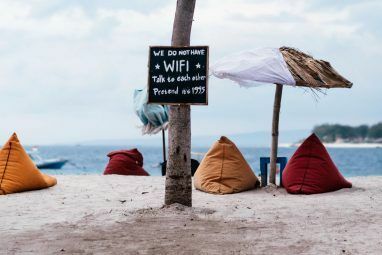 While 4G is not entirely a marketing term, the fact that it can be used to brand products that do not meet the technical 4G standard has effectively turned it into one. The best that can be said for 4G is that it’s pretty fast, but the term does not by itself promise any particular connection speed. Is 4G much quicker than 3G? Despite the marketing shenanigans, 4G has generally been an improvement over 3G. 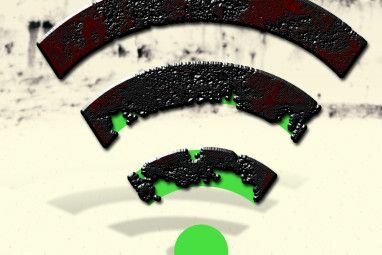 Testing by PC World indicates that 4G services can range from two to ten times quicker than 3G from the same carrier. Other publications, such as Computer World, have backed up these claims. Better still, the extra speed applies to both downloads and uploads. Attempting to send an email attachment larger than a few megabytes via 3G can take forever. 4G can still can take awhile, but it is at least adequate. 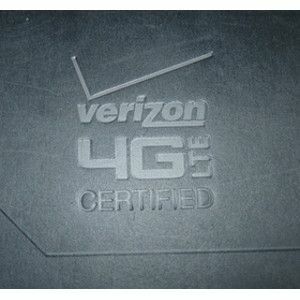 Personally, I can say that I saw amazing results when I upgraded to a 4G LTE phone on Verizon. My download speeds went from just under 1 Mbps to nearly 14 Mbps. I can consistently obtain those figures so long as I’m in a 4G area and have at least 3 bars. 3G services have actually been improving in speed over time because of optimizations, but it’s unlikely they will ever come close to the speeds 4G phones can handle. Eventually carriers will probably abandon 3G development and use it only for legacy communications as they expand to LTE and offer a broader selection of LTE-capable phones. Are you obtaining 4G speeds? If you’d like to test your 4G speeds you can easily do so by downloading the Speedtest.net app for iOS or Android. This app can help you judge your phone’s upload and download speeds. As you’d expect, running the app in an area that provides your phone a strong connection will produce the best results. Of course, it’s hard to say that a phone is obtaining 4G speeds no matter the result reached because the carriers shy away from making specific claims about speed. Testing has shown there’s a big difference between carriers. There also can be a big difference between locations. With that said, 3G struggles to climb above 2 Mbps and averages under 1 Mbps. A 4G speed test result better than 4 Mbps is a major improvement. What are the disadvantages of 4G LTE? Price is a concern. 4G phones are now available at low prices – including free, with contract – but some carriers will charge extra for a 4G plan. Be careful to ask about this when you are looking at a new 4G capable phone. The way plans are priced is sometimes bizarre. Limited availability is another concern. LTE is still only available in a few areas around the globe. A 4G phone taken outside one of those areas can use 3G instead, but it won’t have a speed advantage over a 3G-only device. Battery life is the final issue. 4G is quick, but it requires a strong signal to work, and that consumes more power. Nearly all 4G phones struggle to survive a day of moderate use on the standard battery. Some phones can switch over to 3G in an effort to preserve the battery, but that defeats the point of upgrading in the first place. While the marketing of 4G is bit of a fiasco and renders the term “4G speed” meaningless, it is clear that 4G services are much quicker than 3G from the same carrier. If you can obtain 4G, you should find that download and upload speeds increase dramatically. It’s worth the price of the phone and service for anyone who heavily uses mobile data. Explore more about: Bandwidth, Mobile Broadband. I find the speed advertisements rather pointless. They often advertise people watching movies on Netflix, listening to Spotify or Pandora or other data-intensive services. 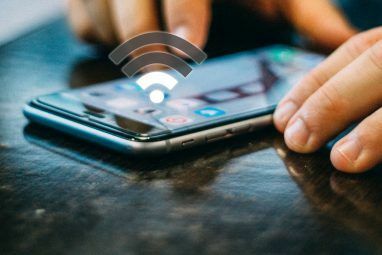 Unless you're on a high bandwidth plan (which are a bit expensive from most major carriers,) you'll easily reach your monthly data cap from one or two uses of such services. Until the carriers start building up bandwidth infrastructure, increased speeds will become increasingly pointless. "4G" - allowing you to reach your carrier's data caps faster! And then there's the device battery life part which doesn't need much introduction. Yes, good point. I'm on a Verizon unlimited plan, which is now no longer available. I rarely use a lot of data but in the rare occasions I have watched a movie streaming to my phone it's impressive how quickly your data cap could be reached. We don't have any 4G available where I am living but I am sure it will be fantastic to use it and experiment it. There are 3 or more variants in 3G like WCDMA, UMTS, HSDPA. Are there any such things in 4G which mobile phone companies and operators try to fool or mislead customers? 3G connection here is not even optimized, let alone dealing with new technology. Back in the days of 3G, Indonesian operators went raging over it, using it as marketing shenanigans while in reality weren't able to support the significant surge of mobile data users. As the result, our 3G experience to-day is 'pretty quick compared to GPRS and EDGE, but don't hope too much'. The only 'G' I worry about is my girlfriends 'G' ....spot. I will wait for everyone to go to 4g, then I will set my android to use only 3g and then it will be faster than everyone else because it would be less cluttered with bandwidth hogs. Is my rationale sound? Or does 4g, theoretically, when it has it's complete setup, not depend on how many users are using the bandwidth? In other words, can 2 million people connect to 4g and the speed for evryone will be the same(that is when it is in full operation.)? I'm sure that there are limits to the capacity of 4G in any area, but I don't think this plan will work because there's probably a limit to your 3G radio's bandwidth and the network hardware you're connecting to. I'm also not sure if the radio frequencies used by 4G and 3G are entirely unrelated. I like my 4G however the battery life is terrible. Strongly agree especially with the battery part.